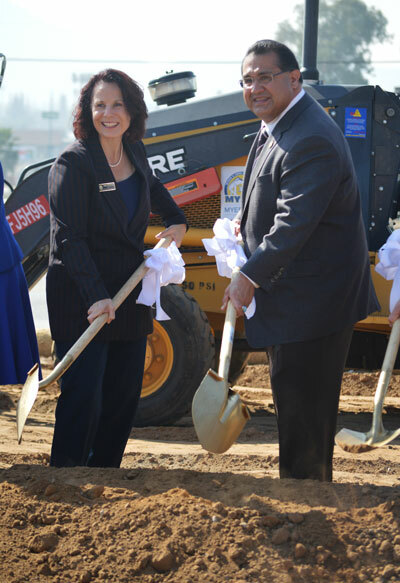 Supervisor James Ramos and Grand Terrace Mayor Darcy McNaboe at the Ground-Breaking Ceremony for the I-215 Barton Road Interchange Project. Mayor McNaboe will serve as Vice President of SBCTA. IECN photo Victor Suarez: Supervisor James Ramos and Grand Terrace Mayor Darcy McNaboe at the Ground-Breaking Ceremony for the I-215 Barton Road Interchange Project. Mayor McNaboe will serve as Vice President of SBCTA. On Wednesday, June 6th, 2018, San Bernardino County Third District Supervisor James Ramos became President of the San Bernardino County Transportation Authority (SBCTA), an agency that serves over 2.1 million residents.